The reason why Israel stands out amongst western countries in its hostility to refugees, to the extent that they tricked a group of refugees into leaving for Rwanda and Uganda, three of whom have been butchered by ISIS in Libya, is because they threaten the ‘democratic Jewish state’. This is another example of how a ‘Jewish’ state cannot be a democratic state. It is a racist state though. Before Israel built a multi-billion dollar fence separating it from the Sinai frontier, 60,000 African refugees fled civil wars, famine and poverty to find a new life there. I wish I could say that Israel had learned any lesson from the Jewish history of suffering and exile, and that it treated these refugees with decency. But despite Bibi Netanyahu’s oft heard claims about Israel being the apotheosis of Jewish values, he seems to have learned none. His government has cast a cold, hard eye on the Africans from Sudan, Eritrea, Ethiopia and elsewhere. Israeli Jews in Tel Aviv have mounted pogroms against them replete with beatings and firebombing of African stores. The government built concentration camp-like facilities for them amidst the Negev moonscape. Israel deported some of the refugees to Sudan, where they were promptly arrested for traveling to Israel, a country to which travel is banned. The government sought desperately to find another African country that would accept them. It struck paydirt in the Rwandan dictator, Paul Kagame, the Butcher of Congo. In return for military hardware, Rwanda agreed to accept deported Africans. What happened to them after they left Israel and touched down in Rwanda was no longer the “Jewish state’s” problem. Previous attempts at “voluntary departure” had come under fire after many of those who left of their own accord faced life threatening danger in their home country. But this time is different, Erdan claims, saying that in the first few months, Israel will follow the foreign nationals intake process in the host countries to make sure they are properly treated. Turns out for those who listened to Erdan’s blandishments, it wasn’t a smart choice. T…came to Israel through Egypt in 2007. He lived with her for a period of time, and the two became close. According to her, T.’s mental state deteriorated after being sent to Holot, and despite her promises to try and do everything to release him, he eventually decided to sign a voluntary departure form and was deported to a third country — Rwanda or Uganda. T.’s brother, who lives in Norway, told Fashiya that T. attempted to reach Europe. He crossed Sudan and reached Libya, where he got on a boat to Europe that was turned back. The last thing they heard was that he was in a Libyan prison. …“They [ISIS] are doing twisted things there, beheading them and then placing the heads on the bodies. It is terrible. It is difficult to believe that these things happen, even to people you don’t know. The rest is grisly history. Today’s news is filled with the horrible story of the capsized Libyan ship which carried as many as 900 poor souls to their death in the Mediterranean as they tried vainly to reach Europe. But the infamy of the story I tell tonight should not be subsumed by this greater toll in grief and death. Israel violates international refugee laws with impunity. It refuses to even consider most applications for refugee status and approves almost none. That way it can falsely claim that none of those who came there were legitimate refugees. It offers no rights or due process to those it detains. It ships them back to the misery they left without caring what happens to them. I tried to reach the Interior Ministry for comment on this story, but it was closed for Israel Independence Day/Yom HaZikaron. I spoke to Sharon Harel of the UN High Commission for Refugees in Tel Aviv and she expressed the organization’s deep concern for the treatment of asylum seekers in Israel. This included what provisions were made for returning them to third countries. She said that agreements with such countries (in this case Rwanda and Uganda–though the latter formally denies one even exists) should be “transparent.” They should provide protection and guarantee proper treatment of them once they arrive. If such agreements are successful, then we should see communities of Eritreans, Sudanese and Ethiopians deported from Israel, living in these countries. If we don’t, she said, it would mean that whatever program is in place is not working. In fact, the Israeli Hotline for Migrants has published a report on precisely this subject. It finds that those deported to Rwanda and other countries are pressured to leave. There is no provision for them to be accepted on a long-term basis. In fact, just the opposite. Thus far, the agreements, such as they are, are anything but transparent. In fact, they’re so secret that Uganda has denied one even exists. If the Haaretz report is correct, then Rwanda is merely serving as a fig leaf for Israel. It isn’t receiving the deportees in any fair manner. It’s merely serving as a way station for them to pass to yet a fourth or even fifth country as they seek refuge. Further, a new policy, even more draconian than the current one, would allow Israel to deport Africans involuntarily. Those who refused would be put in Saharonim Prison and treated close to criminals, yet another grave violation of international law. Now Israel knows that it has deported human beings who were slaughtered like cattle. It cannot wash its hands of this tragedy. It is an accomplice to murder. If you’ve followed this blog for a number of years, you may remember this post I wrote about the ill-fated journey of the S.S. St. Louis with its cargo of Jewish refugees fleeing the Nazis just before the outbreak of World War II. The ship made its way to the New World seeking a safe haven for its 800 souls. But it was turned away at Latin American ports, turned away from the U.S. and ultimately turned away from Cuba. The St. Louis eventually gave up and returned to Europe, where many of its passengers ended up murdered in Nazi death camps. This is now Israel’s legacy: it has done no less than what FDR did to the St. Louis*. 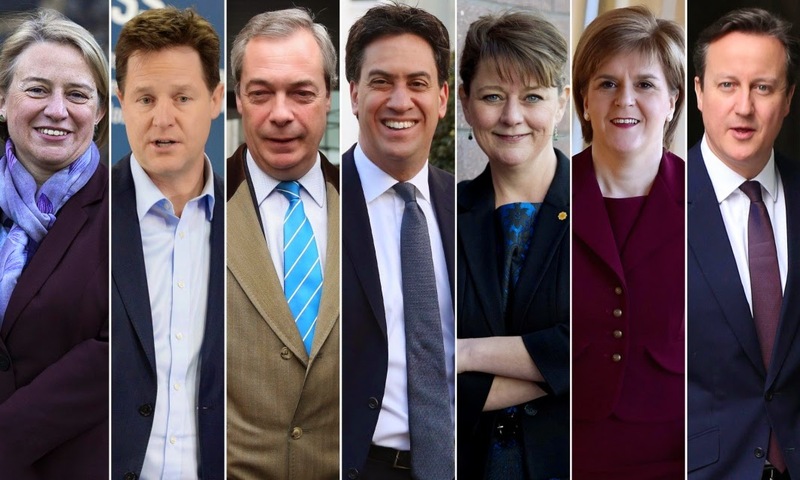 It has turned away the desperate fleeing mayhem in their homelands and sent them back into the lion’s mouth. 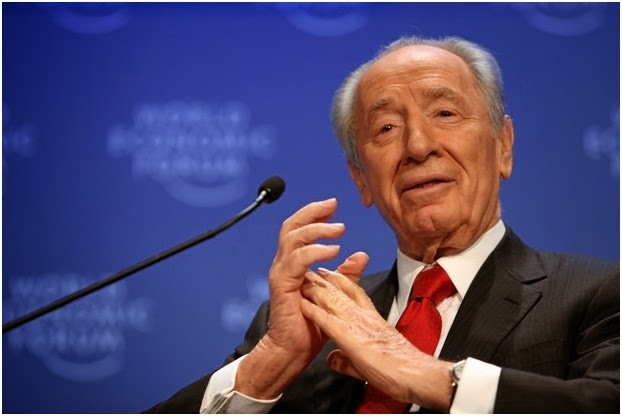 This is a betrayal of Jewish tradition; a betrayal of Jewish values. A total schandeh. 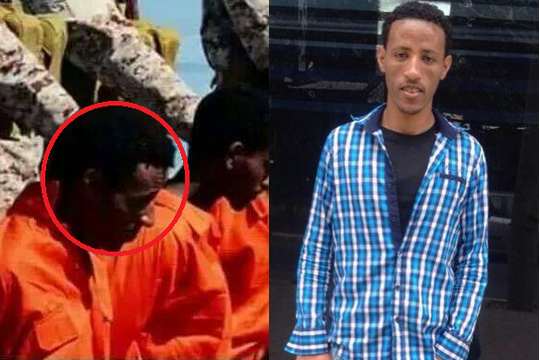 see ISIS Executes Three Asylum Seekers Previously Deported by Israel +972 Magazine 21.4.15. 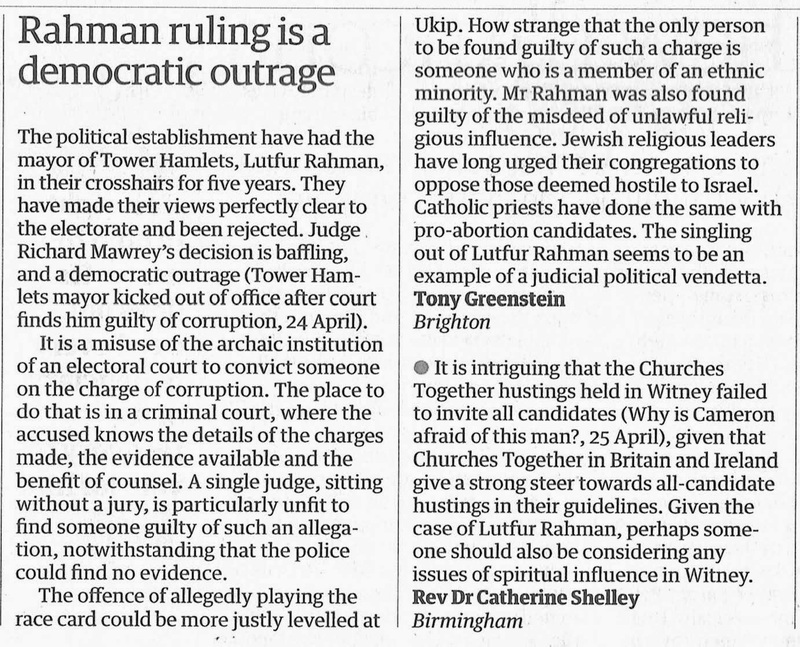 I have a letter in today’s Guardian condemning the removal of the leader. In the same issue there is a typical Guardian handwringing leader which fails to grasp the serious constitutional and democratic issues involved. 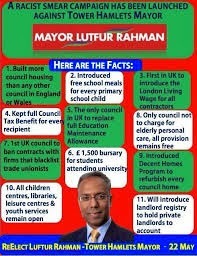 I don’t know whether or not Mr Rahman was corrupt (or more corrupt than other local authority leaders). 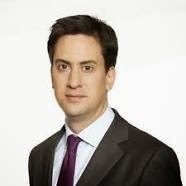 What I do know is that he was, despite the allegations re-elected and singled out by both major political parties - Tory and Labour for abuse. Labour, whom Mr Rahman left, after the usual ‘democratic’ expulsion procedures and the Tories, who have virtually no support in the Wardleft it to the far-right Eric Pickles. Pickes, a Zionist neo-con to the tip of his belly, did the dirty work and sent in the Commissioners. 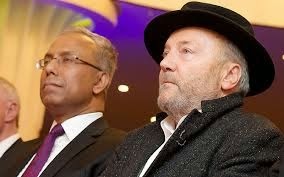 Lutfur was singled out for attacks by both political parties and the subject of a witchunt by Panorama. When you think of the major corruption in the City and among Defence Contractors Panorama of course picks on one of the poorest local authorities in Britain for an 'investigation'. I watched it. 'Piss poor' is one of the milder accusations. It proved nothing and was heavy on innuendo. Real journalistic investigation as per Wiki Leaks or Edward Snowden is beyond it. What is known is that the Police refused to take action on this ‘corruption’. Mr Rahman was accused of using the race card (unlike the largely White Labour and Conservative Parties) or indeed unlike UKIP. It beggars belief. Mr Rahman was accused of using unlawful religious influence. Presumably unlike Protestant Unionist candidates in Scotland and Ireland or Catholic anti-abortionist priests in Liverpool or Jewish Zionist rabbis in Hendon and Finchley. The whole issue stinks and it is British racism which is putrefying. 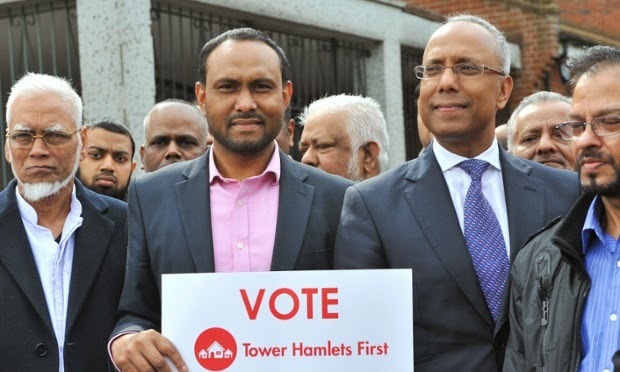 Police are considering whether to launch a criminal inquiry relating to the former mayor of Tower Hamlets after he was found guilty of multiple corruption allegations by the high court and kicked out of office. 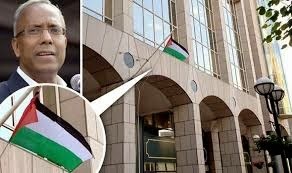 The mayoral election in the east London borough will be rerun after Lutfur Rahman and his supporters were found to have used religious intimidation through local imams, vote-rigging and wrongly branding his Labour rival a racist to gain power. Rahman, who has been banned from seeking office again, was also found to have allocated local grants to buy votes. He was ordered to pay immediate costs of £250,000 from a bill expected to reach £1m. Summing up, Judge Richard Mawrey said Rahman had sought to play the “race and Islamophobia card” throughout the election and would no doubt do so after this judgment. “He was an evasive witness – Rahman was no doubt behind illegal and corrupt practices,” Mawrey said. He also faces being stripped of his profession as a lawyer after the judge claimed he told “a pack of lies” in the witness box. The ferocity of the judge’s verdict provoked gasps in court. Friends of Rahman claimed he had been unfairly treated. Police on Thursday struggled to react to the judgment, based mainly on evidence put together by local voters. Last April, detectives examined allegations of electoral fraud and corruption against Rahman but found no evidence of criminal wrongdoing. A Met statement last night said the force has noted the judgment and will consider the 200-page report. 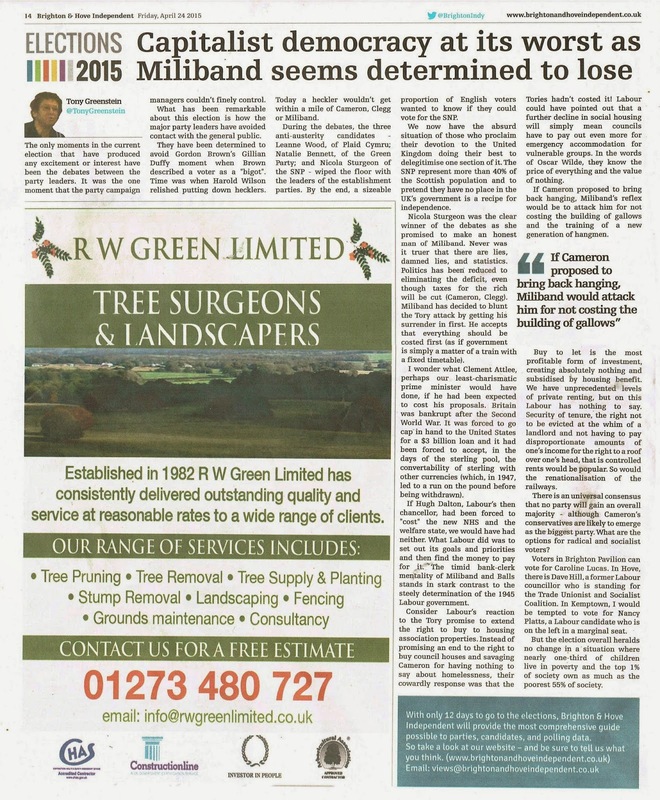 Rahman, who is no longer mayor and will be removed from the electoral roll, expressed shock at the judgment and said he was considering launching a judicial review – his only possible course of legal action. Even if he does challenge the ruling, he will not stop a new mayoral election, which is expected to be held in mid-June. Rahman is barred from standing again. 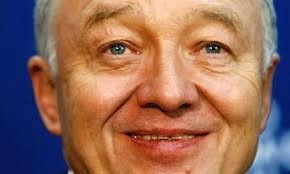 However, Ken Livingstone, the former London mayor, said he was “distinctly uncomfortable” with a court’s ability to remove an elected mayor. “If there is any illegality, then surely that’s a matter for the police. “I’m uneasy that a mayor who has taken on the political powers in a borough can be removed by someone who is essentially a bureaucrat. What I don’t understand is why he [Mawrey] found evidence of corruption that the police have so far failed to identify,” he said. The judge handed down his verdict on Thursday after a 10-week hearing at the Royal Courts of Justice. 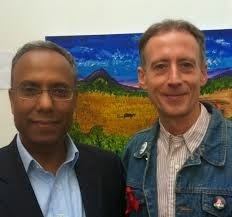 A group of four residents – defined as petitioners by the election court – had called for last year’s mayoral election, in which Rahman triumphed over Labour rival John Biggs, to be declared void. 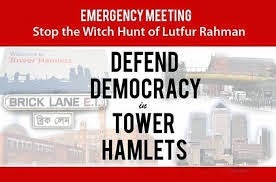 Mawrey said: “The evidence laid before this court, limited though it necessarily was to the issues raised in the petition, has disclosed an alarming state of affairs in Tower Hamlets. 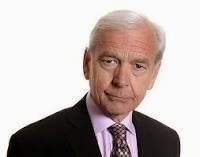 Mawrey said the effect of his ruling was that “Mr Rahman’s election as mayor on 22 May 2014 was void – that is to say, it is as if it had never taken place”. Rahman’s election agent, Alibor Choudhary, was also banned as a councillor with immediate effect. The petitioners were praised by the judge for their courage and told that they had been fully vindicated. They called for a criminal inquiry into Rahman but questioned whether it could be carried out by local police because of their “connections” to Rahman. Azmal Hussain, a petitioner who said he would have lost his Brick Lane businesses if they had lost the case, dismissed concerns that the judgment would be seen as racist. “The people who have really suffered are ordinary people of all races who were supposed to accept corruption because it comes from someone claiming to be against racism. It is corruption, pure and simple, and it should be challenged,” he said. During the hearing, the court heard evidence from a handwriting expert that hundreds of ballot papers carried marks suggesting they could have been filled out by the same person. Rahman was also accused of making false statements about the personal character of Biggs by branding him a racist. “No rational person could think Mr Biggs was a racist – it was a deliberate and dishonest campaign. Rahman and Choudhary are personally guilty,” said the judge. The judgment also found Rahman to be the first person since the 19th century to be found guilty of the misdeed of unlawful religious influence. As the then mayor campaigned for re-election, local Muslims were told “that it was a religious duty to vote for Mr Rahman”, the judge said. It was claimed that a Bengali newspaper, the Weekly Desh, published a letter signed by 101 Islamic leaders, which was “intended to have undue influence on the Muslim population of the borough”. Mawrey also said “bribery” had been “proved” following an examination of grants in the borough. He said the “administration of grants” had been “firmly in the personal hands of Mr Rahman” and “cronies”. 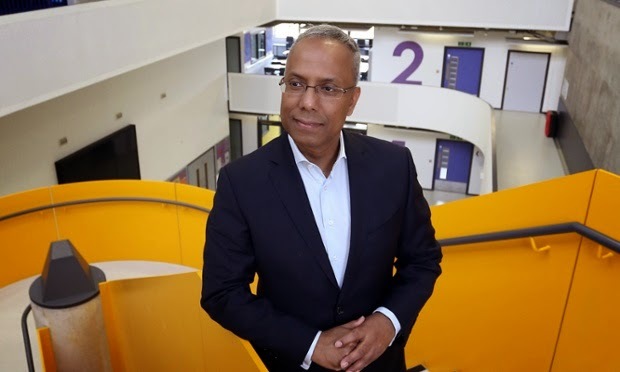 “In administering the grants policy, Mr Rahman acted in total disregard of the council’s officers, its members and, almost certainly, the law,” he said. 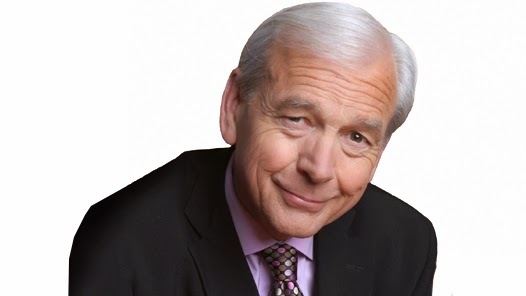 Allegations of intimidation at polling stations fell “just short” of being proved beyond reasonable doubt and so Mawrey rejected them “with considerable misgiving”. Yet he found that the behaviour of Rahman’s supporters had been “deplorable, even indefensible”. In an unusual move, Mawrey said that he was sure that the Law Commission would take a close look at the judgment as it weighed up possible reforms to electoral law. The judge will also report Rahman to the Solicitors Regulation Authority which could lead to further action that may result in his suspension as a solicitor. The director of public prosecutions will consider the evidence in the case, raising the prospect of a criminal investigation into the poll. 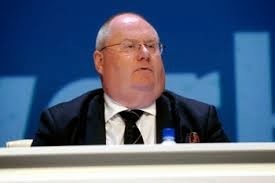 The verdict comes after the communities secretary, Eric Pickles, ordered a team of commissioners to ensure the council was properly run after a PwC report last year found it had flouted spending rules. Davis allowed him to tell one astounding lie after another for four minutes.